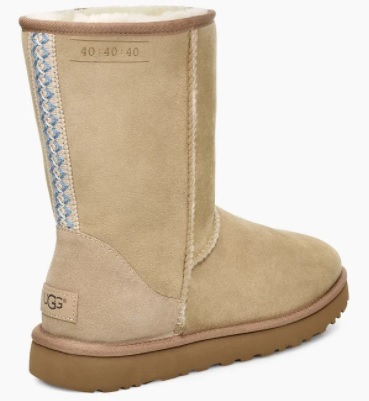 This year, UGG turns 40. To celebrate, we're looking back at our most iconic styles in our original colorways. This limited-edition boot has everything you love about the Classic – soft sheepskin and a lightweight, durable sole – plus exclusive 40:40:40 detailing. 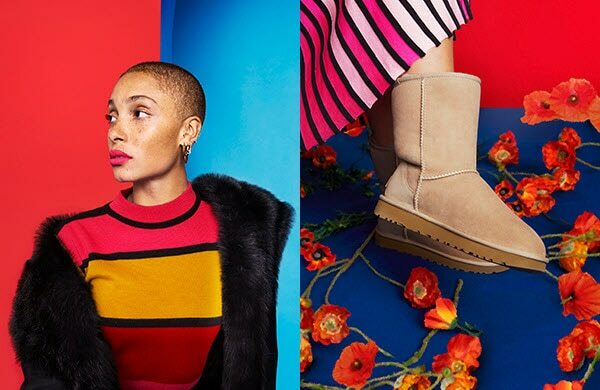 With her bold personality, Adwoa Aboah rewrites the script of what it means to be a modern woman. A model and activist who has fronted campaigns for Chanel, Burberry, and Revlon. She challenges traditional standards of beauty, champions unconventionality, and builds a safe space for women to discuss mental health, sexuality, and body image without stigma and shame through Gurls Talk, a platform she founded with her best friend.